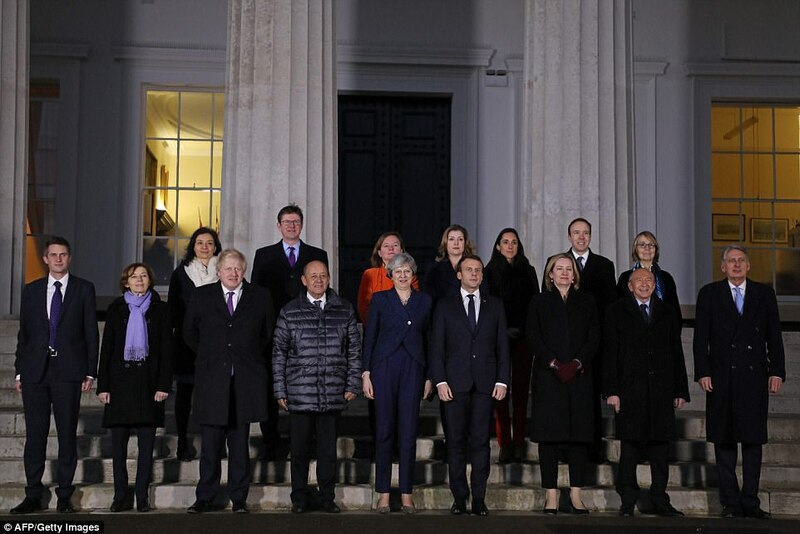 The Foreign Secretary put forward the idea of a second Channel crossing in meetings at Sandhurst Military Academy with French President Emmanuel Macron yesterday. 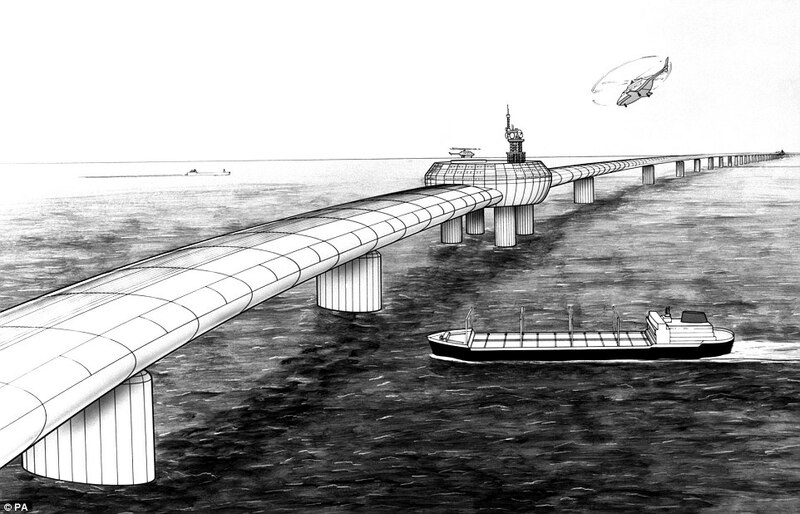 If built, the structure would become Europe's longest bridge at 22 miles in length. Today he faced scorn from experts who branded it a ridiculously expensive 'fantasy' project that would block the world's busiest shipping lanes. 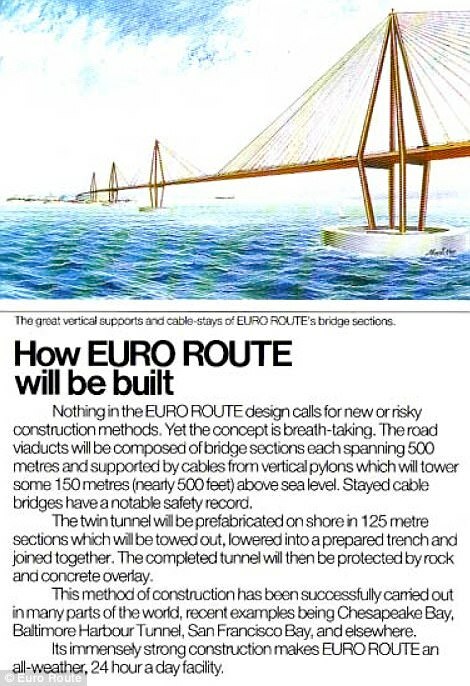 A similar project called Euroroute that was proposed in the 1980s would have taken drivers through the white cliffs of Dover and onto a spectacular bridge across the channel at a cost of £14bn, adjusted for inflation. But some engineers, including a vice president at the Institution of Structural Engineers,have backed Johnson and insisted that such a project is entirely possible given the advances in technology over the course of 40 years. 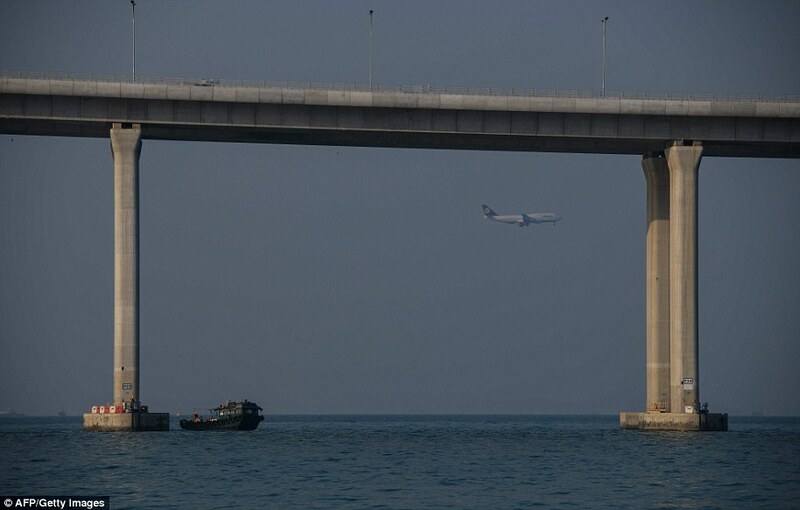 They accused the naysayers of a 'lack of vision' - indeed the world's longest bridge in China crosses a body of water 103 miles wide and similar projects are underway. Europe's longest bridge is the Vasco da Gama Bridge which is 11 miles long. 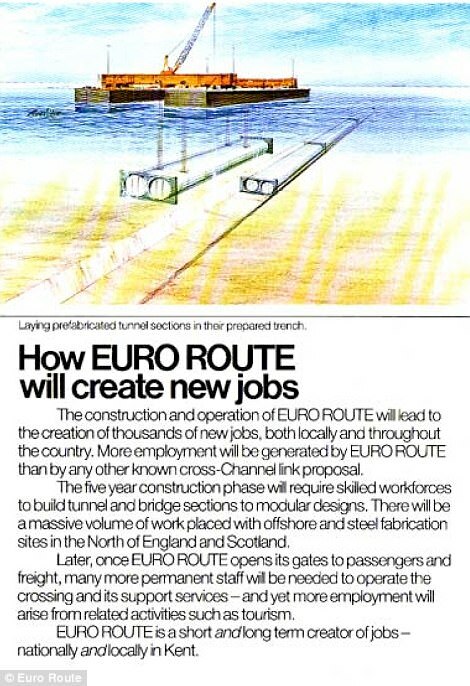 In the 1980s two alternatives to the Channel Tunnel were proposed - known as EuroRoute and EuroLink. 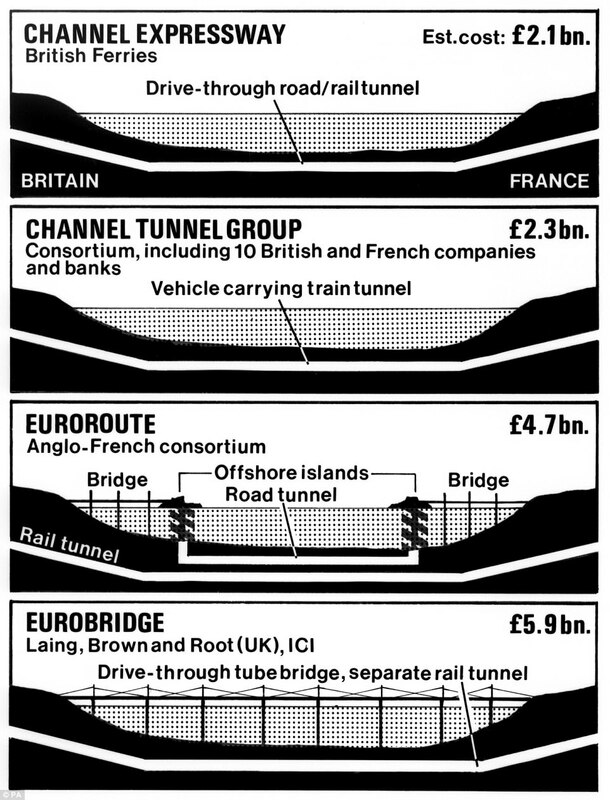 Euroroute was a part-bridge part-tunnel crossing that came in at a proposed cost of £6bn - £14bn today. 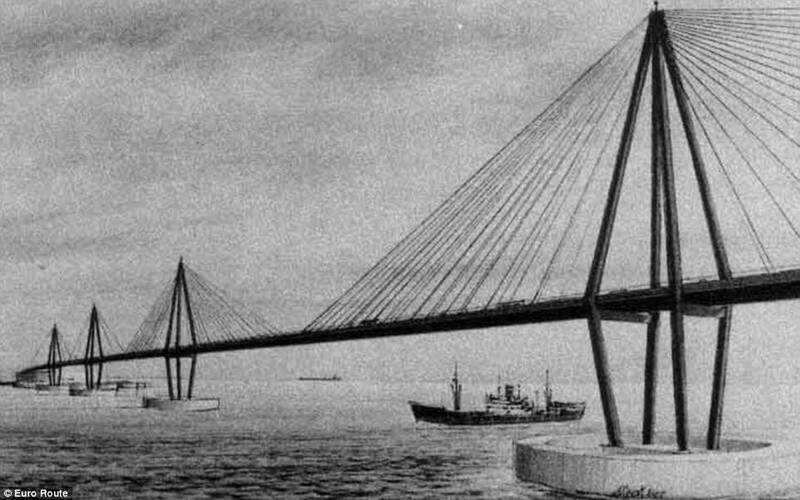 A rival plan known as EuroLink envisaged a three lane bridge across the channel between 15 piers. 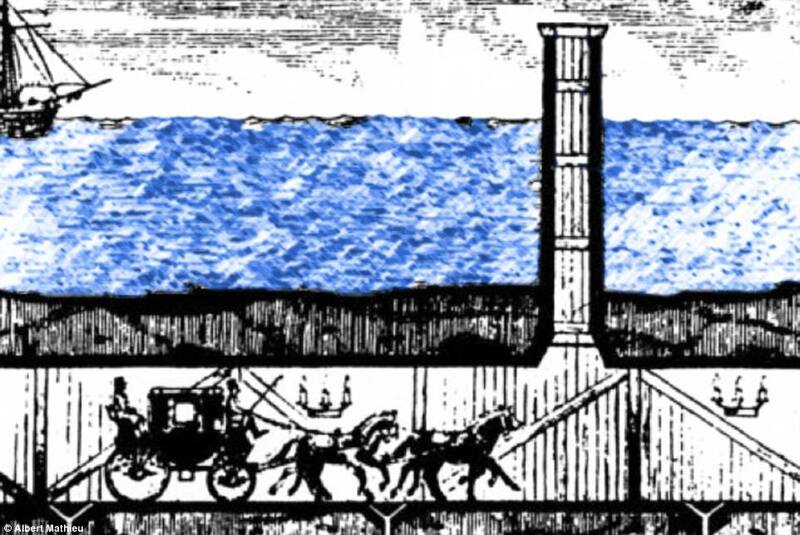 When the idea was originally proposed, the idea of having a road tunnel spanning the Channel was not popular because of fears over emissions, so a consortium of British industrial giants suggested dividing the crossing into three stages. 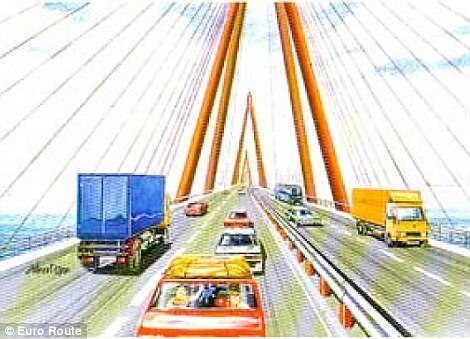 EuroRoute would have had a central tunnel with two bridges of three miles each at either side linking to the mainland. The plan was valued at around £6bn and had secured funding by the planning deadline. But ultimately the contract was awarded to another bid leading to the construction of the Channel Tunnel as it is known today. 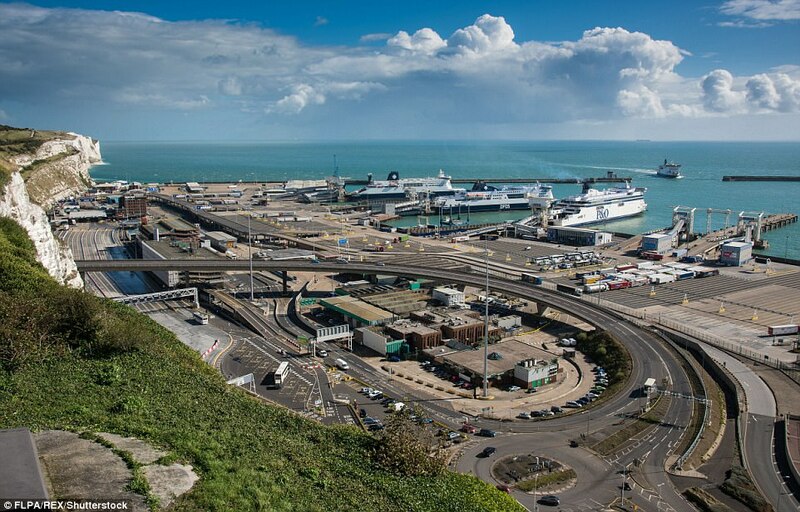 The £9billion project took six years to complete and eventually opened in 1994 linking Folkestone with Coquelles near Calais. In separate bridge developments, the Government wants to introduce a Lower Thames crossing connecting Essex to Gravesend in Kent. The proposed link road has been under discussion for years with the route changing as recently as November. Officials say it will ease the pressure on the existing QEII Bridge and Dartford tunnel. 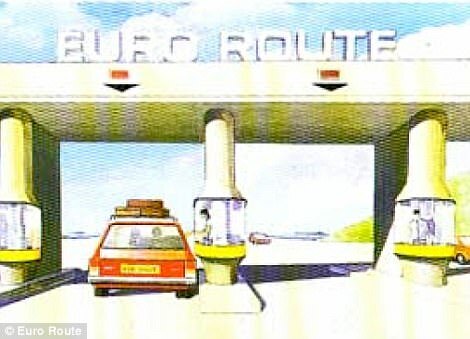 In a separate proposal, engineers suggested building a motorway toll bridge between England and France five years before the tunnel was built. Drivers would have been charged £5.60 to drive across the 21-mile structure which would have linked Britain to mainland Europe. It was hoped that toll charges would bring in as much as £220million per year after the £3bn construction cost. 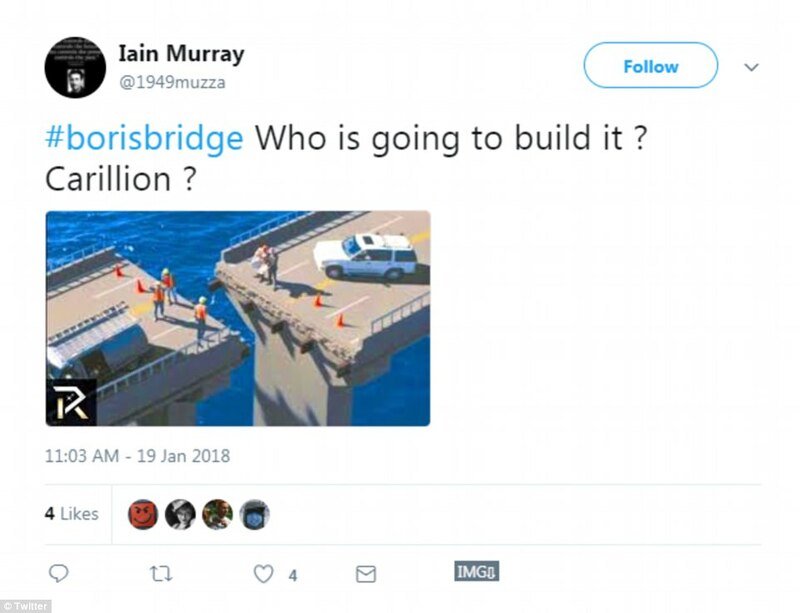 The bridge would have been held up by enormous pylons planted in the water - built strong enough to stand a boat accidentally crashing into one of the struts. Speaking today, Ian Firth, senior vice president at the Institution of Structural Engineers, said building such a bridge was 'entirely feasible'. 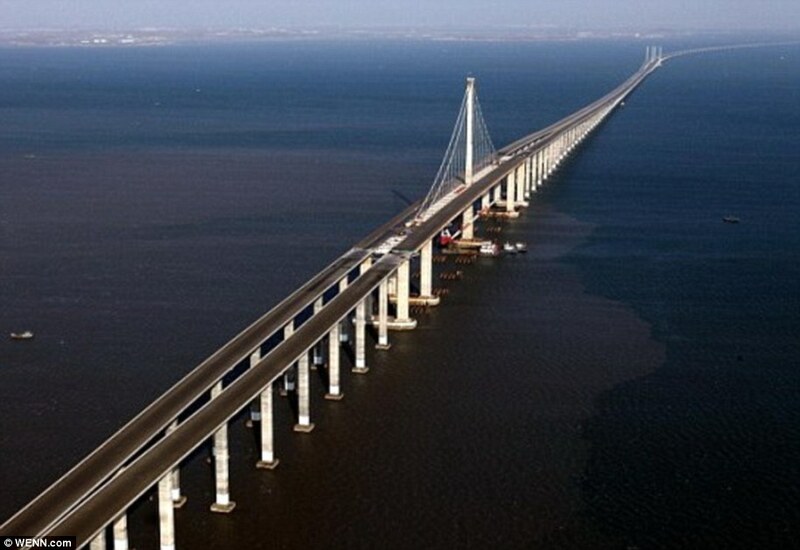 This Chinese bridge is 102.4 miles long - making it the world's longest bridge. It hosts the Beijing–Shanghai High-Speed Railway. Its construction took four years, employing 10,000 people, and cost more than £6billion. Over 200million passengers have used this Taiwanese rail link since it was opened in 2007. It is 97.8 miles in length and is built across numerous viaducts in a bid to avert earthquake damage. 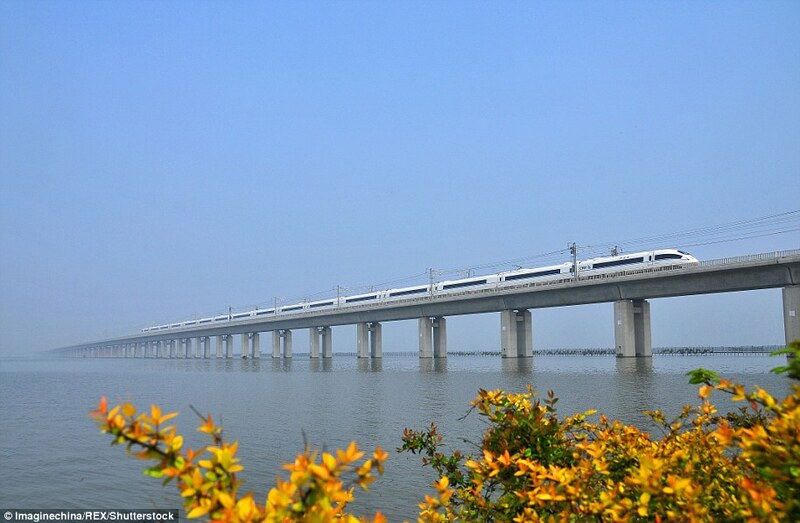 Another entrant in the top 10 from China, the Tianjin Grand Bridge carries the Beijing–Shanghai High-Speed Railway. It is 70.6 miles long and was completed in 2010 - before being opened one year later. The Cangde Grand Bridge has been designed to withstand earthquakes and sits on more than 3,000 piers along its 65-mile length. Not only does this bridge cross the Wei River twice during its 49.5-mile journey, but it also offers scenic views of many other rivers. When it was completed in 2008 it was the longest bridge in the world - but it was quickly surpassed by the previous contenders. This 34-mile link was in the works for years - but was left mired in controversy following a series of worker deaths and injuries. 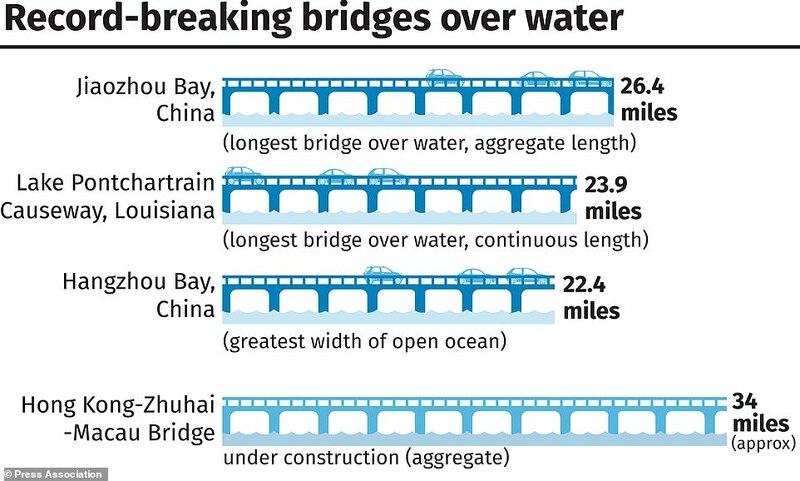 During construction, there were 10 fatalities on the Hong Kong stretch with as many as 600 hurt. One politician even branded it the 'bridge of blood and tears' - and 21 employees at a contractor were eventually arrested on safety charges. This 7.6-mile bridge spans the Tagus River in Portugal's capital Lisbon. It carries six road lanes, each with a speed limit of 75mph - except one section which is limited 60mph. Trailing far behind its Asian cousins, the Bromford Viaduct is a paltry 3.5miles long, carrying the M6 motorway between Castle Bromwich and Gravelly Hill in Birmingham. It is just a quarter of a mile longer than the Second Severn Crossing. He said it would be difficult because 'it's [one of the] world's busiest shipping lanes. Is that not enough? It would be easier, and less expensive to just move France closer. But Mr Frith insisted it was technically feasible as an idea today. He added: 'There is no real issue particularly nowadays with modern technologies. We can design relatively long spans. 'This would be a multiple span structure. This has not got to be one big span of course. 'The economics may lean towards something like getting on for a kilometre spans or something, 800 metre to a kilometre span, that sort of size I would imagine. Multiple spans. 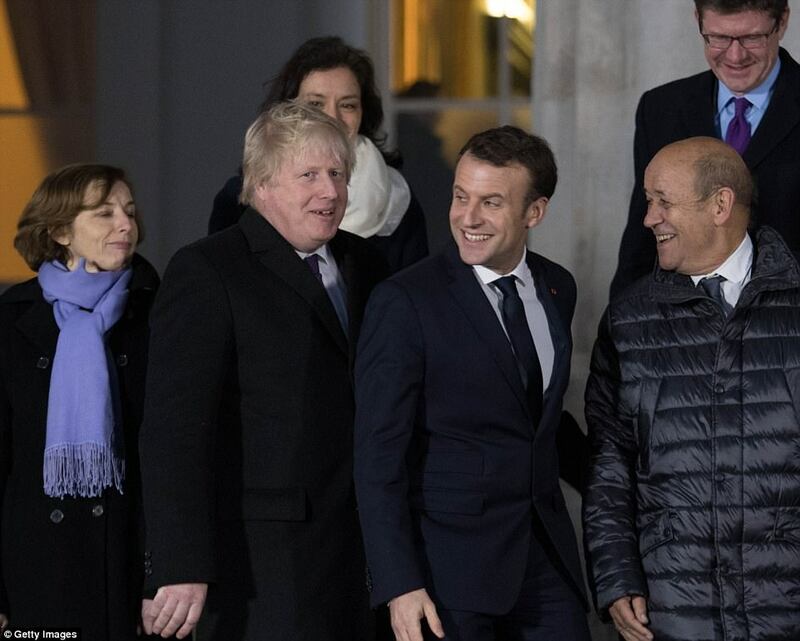 Mr Johnson joined the Prime Minister and French president Emmanuel Macron at the summit yesterday, along with other Cabinet members. Last year it was claimed the Foreign Secretary had plotted a multi-billion-pound highway to show the EU the UK was not giving up on Europe despite quitting the bloc. Mr Johnson was said to have abandoned the idea after being talked out of it by his aide Will Walden. It was reported that in private conversations at the 2016 Tory Party conference in Birmingham, Mr Johnson said: 'If you wanted to show your commitment to Europe, is it not time for us to have further and better economic integration with a road tunnel? That's what we need.' Mr Johnson claimed such a plan had been ruled out in the 1980s, but he added: 'That's all changed. He was said to have claimed that the move would be 'a great symbol of European commitment'. 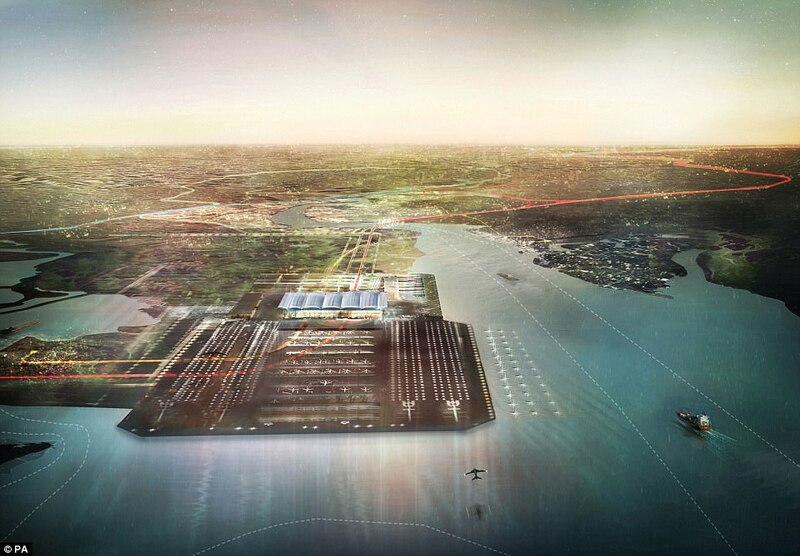 It's not the first ambitious building project Mr Johnson has proposed – in 2013, while mayor of London, he suggested building a four-runway airport on an artificial island in the Thames estuary in a bid to ease growing pressure on Heathrow airport. The project would have cost £47.3billion, but the plans were scrapped in 2014 by the Airports Commission. Despite his idea's failure, Mr Johnson published a report in 2016 re-introducing plans for the airport, which was nicknamed 'Boris Island'. In 2012, Mr Johnson launched the £60million Emirates Air Line cable car over The Thames, which he hoped would be used by commuters – but, in its first year, just 16 passengers were regular users of the service. 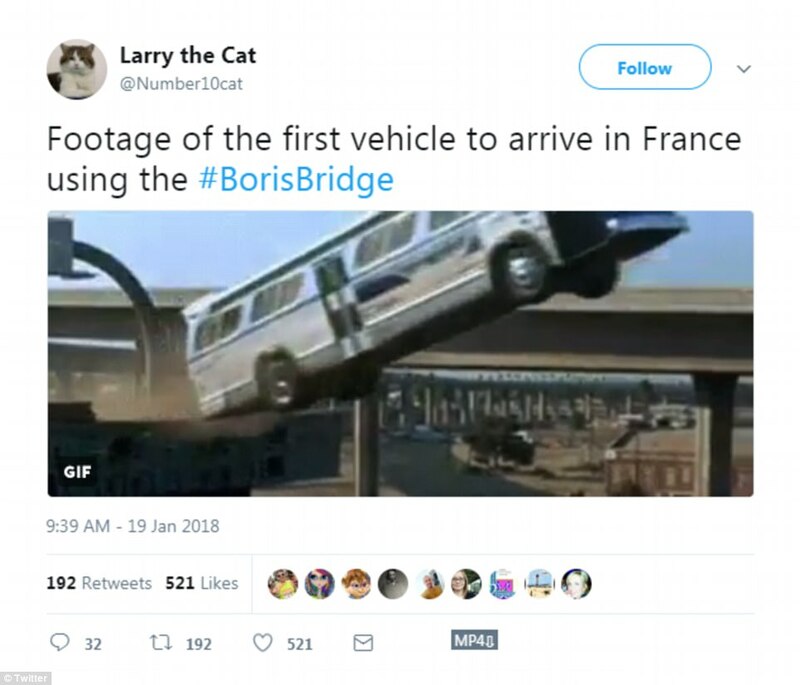 Social media has ridiculed foreign secretary Boris Johnson over his post-Brexit plan to build a bridge across the English channel. 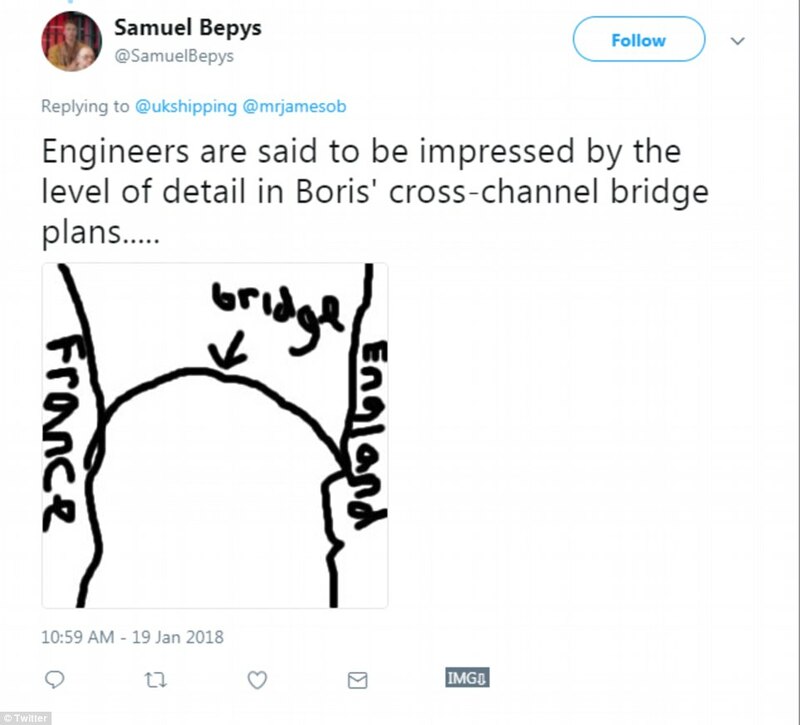 The foreign secretary broached the plan to build a 22-mile bridge linking England and France, which was instantly dismissed by jokers on social media, engineering experts and the French government. 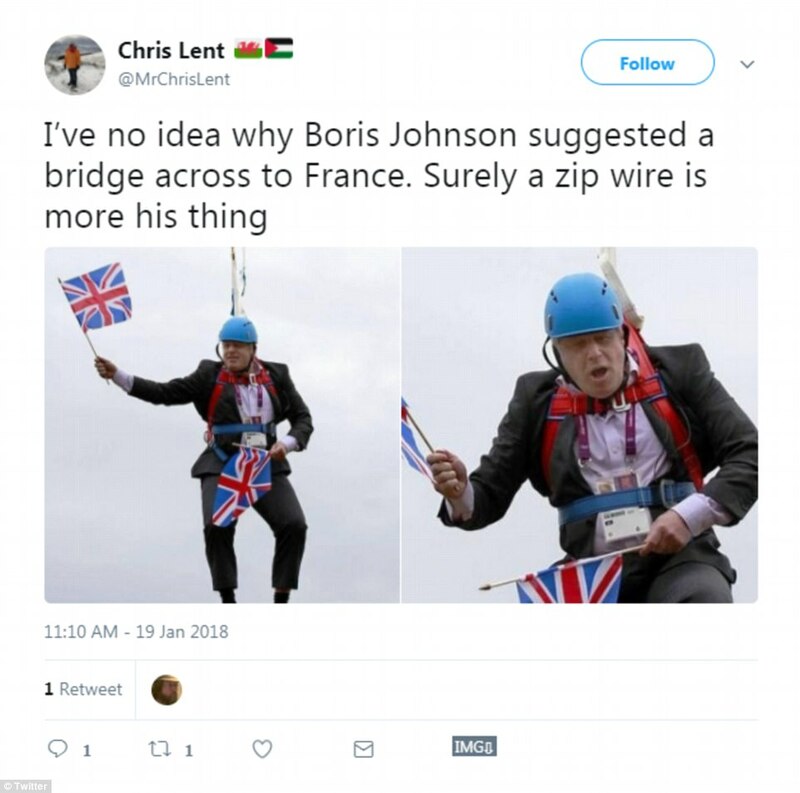 Chris Lent on Twitter posted a photograph of Mr Johnson dangling in mid air during a botched publicity stunt suggesting 'a zip wire was more his thing'. France's finance minister Bruno Le Maire was diplomatic in his rejection of the 22-mile bridge. He told listeners to Europe 1 radio that Britain and France were already linked by the Channel Tunnel. 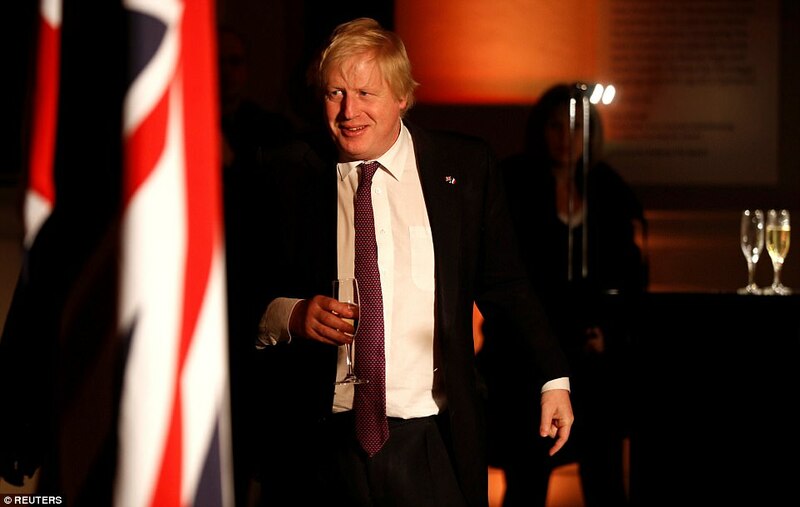 Mr Johnson's plan involves a privately funded structure to help boost tourism and trade. Guy Platten, CEO of the UK Chamber of Shipping said: 'It's good to have vision, particularly with respect to infrastructure projects, but the Dover Strait is the world's busiest shipping lane with many, many hundreds of vessel transits per day. 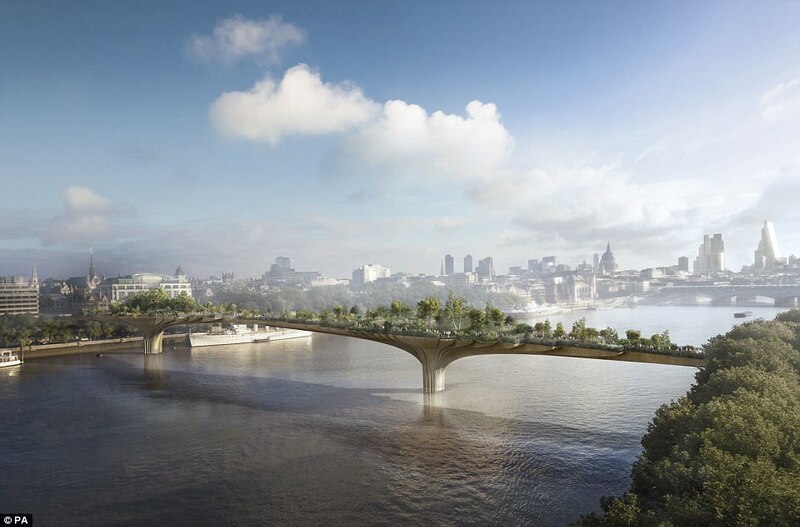 As Mayor of London, Mr Johnson promoted a £200m Garden Bridge over the River Thames that was later abandoned. He also supported a new airport in the Thames Estuary - dubbed Boris Island - to replace Heathrow.